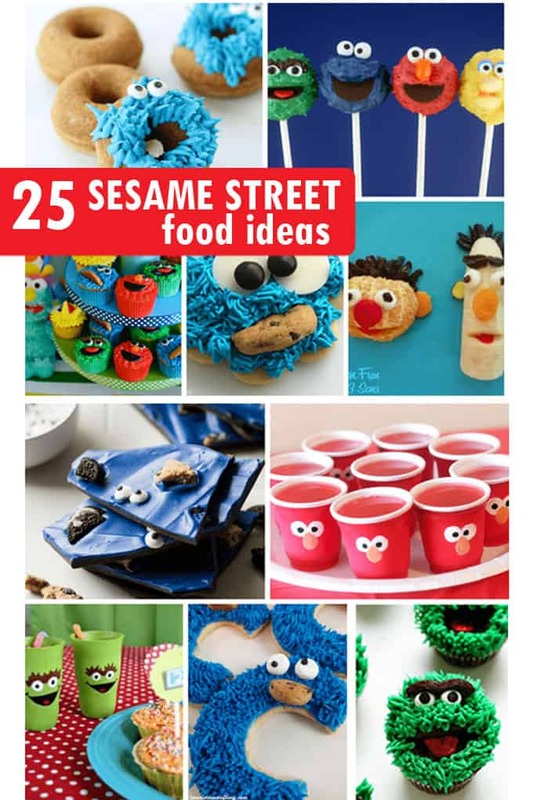 Roundup of Sesame Street food ideas for your kid’s party. 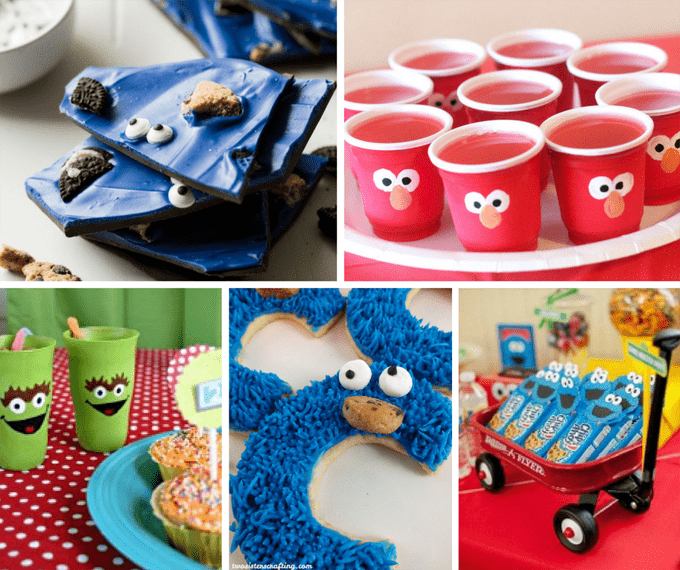 For more ideas, check out this Cookie Monster food ideas roundup. 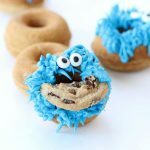 Make Cookie Monster donuts here. 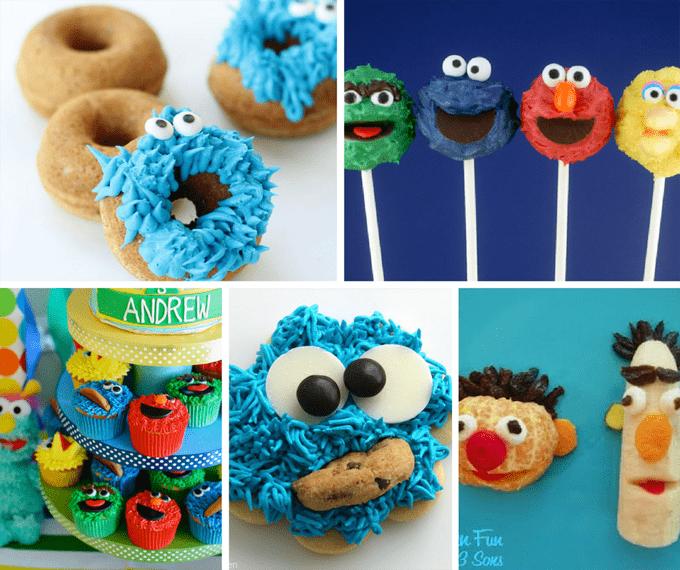 Decorate Sesame Street cupcakes at Annie’s Eats. 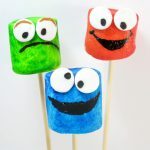 Make Sesame Street cake pops at Bakerella. 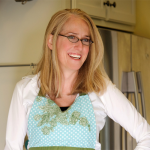 Make Cookie Monster cookies at In Katrina’s Kitchen. 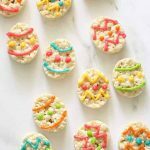 Make Bert and Ernie snacks at Kitchen Fun with My 3 Sons. 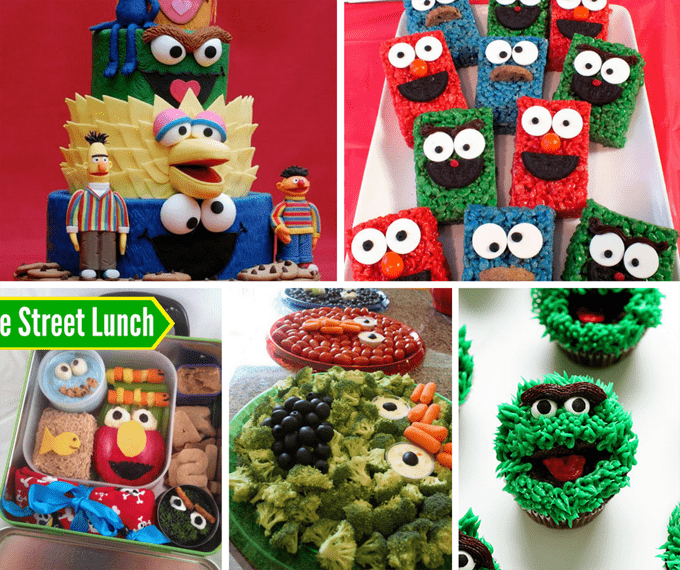 Find fantastic Sesame Street cake ideas at Craftsy. 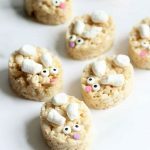 Make Sesame Street Rice Krispies Treats at Two Sisters Crafting. 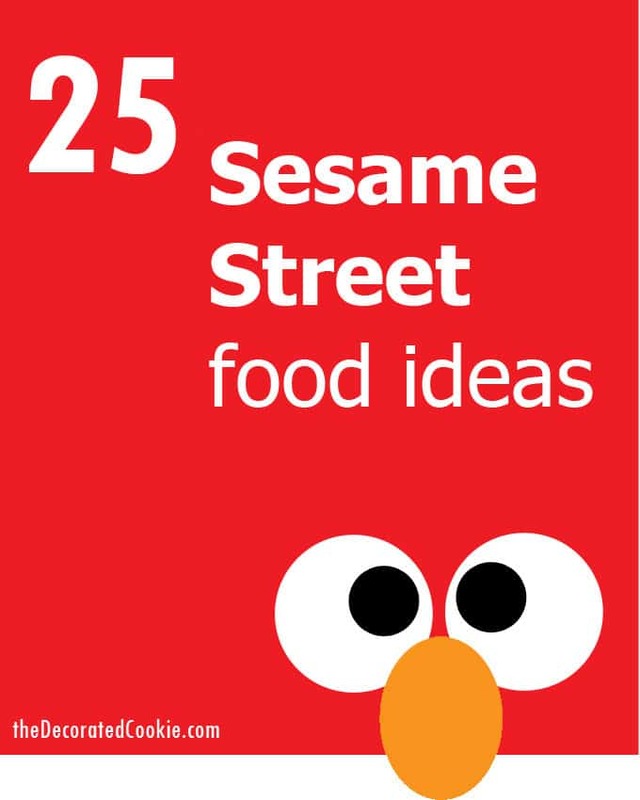 Make a Sesame Street Lunch at Lunchbox Dad. Find veggie and fruit platters at Catch My Party. Make Oscar the Grouch cupcakes at i am baker. Make Cookie Monster chocolate bark at House of Yumm. 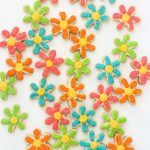 Make Elmo Jello at Moms and Crafters. 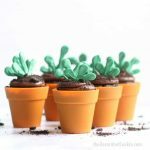 Make Oscar dirt pudding cups at Project Nursery. 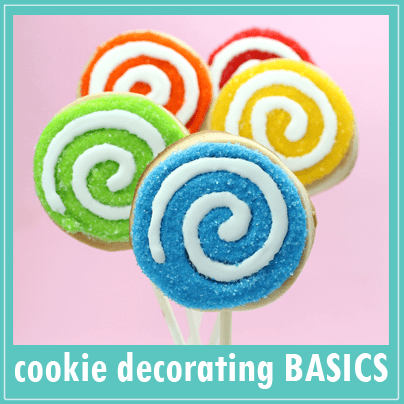 Make “C” cookie monster cookies at Two Sisters Crafting. And the Cookie Monster Chips Ahoy, featured at Kara’s Party Ideas, by Sugar Blast Events. Make Elmo spaghetti at Kitchen Fun with My 3 Sons. I’m loving this Sesame Street soda. Make a cookie monster ice cream cone at Hungry Happenings. 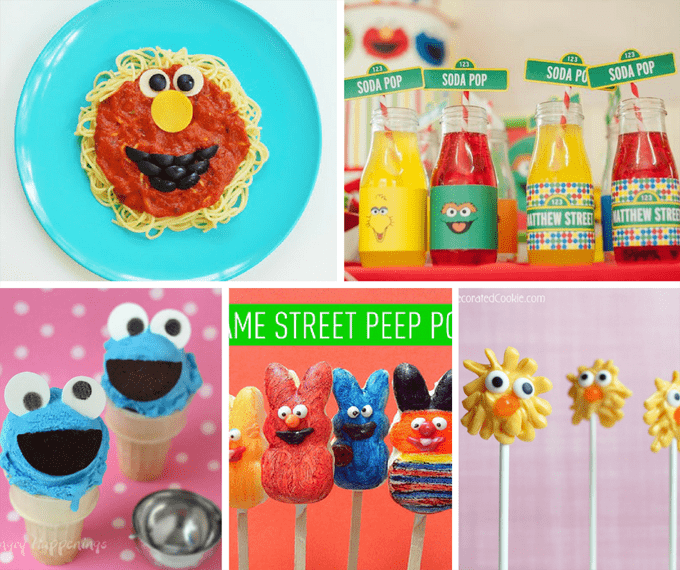 Make some Sesame Street Peeps pops at Sugar Swings! Serve Some. I didn’t mean for these to be Big Bird, but they totally look like Big Bird candy pops. 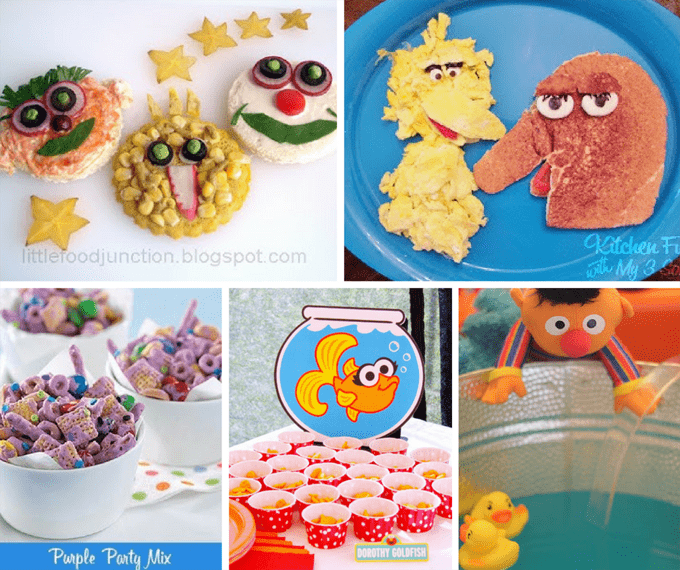 Make a Sesame Street lunch at Little Food Junction. Make a Big Bird and Snuffleupagus breakfast at Kitchen Fun with My 3 Sons. Make Abby Cadabby snack mix at Writing Our Story. Don’t forget Dorothy’s goldfish. At the Slow Roasted Italian. And Ernie’s rubber ducky punch, at The Thames Trio.